There seem to be two types of funerals. One is the kind that makes us cringe, may even make us angry. It’s where the person leading the service never met the person who died. It’s obvious – they ramble on in general, pious terms. They mispronounce the deceased’s name. Times like those I want to walk up to the front, say “shut up and sit down” and invite friends and family to do a better job. Then there are those we never forget. I’ve been to a few, where the eulogies made us laugh, made us cry, and even made us give standing ovations. And the music…well, the music makes all the difference. I remember walking into my friend Delle’s apartment a few weeks before she died. “Do you want to see my urn?” she asked. Honestly, I didn’t: I didn’t want to think about the inevitable. But she showed it to me anyway: a gorgeous, cobalt blue (her favorite color). She was, when I got there, choosing the music for her funeral. Now not everyone has the luxury of time to plan their own funeral, once they know they’re dying. That’s why I’m becoming more and more insistent that my family and friends think about this now. There are as many different kinds of funerals as there are people: religious, secular, sad, celebratory, indoors, outdoors. And for a control freak like me, it’s one last chance to be in charge. What kind of music do you want at your funeral? Whatever you choose, whatever you and your friends agree on, doesn’t matter. What matters is that you begin to think about how you want to be remembered. Part of that is your legacy: what do you leave behind? Did you leave the world a better place? The other is your funeral: did you give your friends one last way to remember you? What’s on your play list? "I Happen to Like New York"
Oh, wow, Jim, what a beautiful song. I don't think I've ever heard it before, but I won't forget it any time soon. At that same time period, as I was getting ready for my wedding, my Dad wanted us to have our first dance to "Wind Beneath My Wings". I couldn't do it. To me, it was the AIDS National Anthem: it seemed to be played at every single funeral and memorial service I attended for years. I never said no to him, except this time. Years later, when he died, it was the only song at his funeral. Of course, I never met Vito Russo, though I knew about him, and learned much more after he died. Thanks for reminding me to read his book. Funeral service music along with audio have an crucial position inside memorial service or maybe funeral providers. 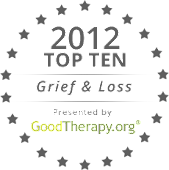 Funeral service music can help sooth grieving visitors, along with will let you speak ones thoughts along with thoughts. You can find practically thousands of memorial service music by distinctive genres, which includes faith based, gospel, crop up, region, jazz, rhythm & blues and much more crosswrods solutions. It is painful for the family members to bid final goodbye to a deceased person, but one cannot escape from the harsh reality of death. The affordable funerals make it easier to meet the expenses of performing the death rituals rightfully.